Qumu, Inc. integrates control and management of Inlet Technologies' Spinnaker into Qumu's Video Control Center 5.3. Inlet Technologies, the leader in innovative solutions for digital media preparation, announced today that Qumu, Inc., a proven innovator in streaming media solutions for the enterprise, has integrated control and management of Inlet's Spinnaker into Qumu's Video Control Center 5.3. As a result, video webcast producers and IT departments can now control Spinnaker real-time video streaming appliances directly from the Qumu Video Control Center. The Qumu Video Control Center (VCC) 5.3 is the most recent upgrade to its comprehensive enterprise video management solution. The Video Control Center simplifies the enterprise video webcast process, and centralizes content creation, management and distribution. 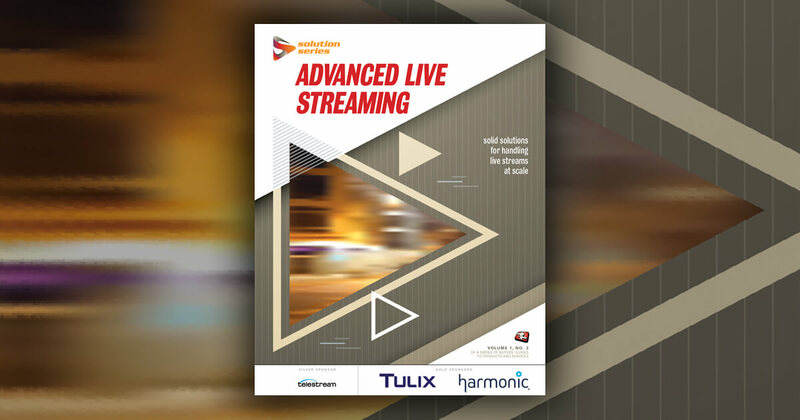 The central control enables organizations to produce and deliver scalable live events, video on-demand (VOD), and control for all video applications, content and resources. VCC 5.3 integrates industry-leading enhancements, including encoders, editing tools, streaming servers, Content Delivery Networks, portals, and video conferencing systems. Qumu chose Inlet Technologies' Spinnaker to give organizations greater flexibility and more options for real-time programming. Spinnaker is Inlet Technologies' family of award-winning streaming appliances for live video and audio delivery applications, and provides exceptional quality and professional, reliable results in an affordable, simple solution. Spinnaker provides multiple formats in one box, and can prepare content for delivery to a wide audience through the latest platforms, devices, and screens. In addition to standard formats, Spinnaker has built-in support for adaptive bitrate streaming, including iPhone and iPad streaming, Microsoft IIS Smooth Streaming, and Adobe HTTP Dynamic Streaming. Spinnaker also supports streaming to a wide range of feature phones and smartphones. "According to industry researchers, Gartner and IDC, Fortune 1000 organizations want to expand their use and delivery of streaming video throughout their organizations, in order to continue to reduce costs, engage audiences and increase revenues. These organizations demand cutting-edge technology that will allow them to reliably and seamlessly stream live events" said Scott Safe, Qumu, Inc. vice president of product strategy and marketing. "Now the Qumu Video Control Center with Inlet Spinnaker real-time appliances gives enterprise webcast producers the power to effortlessly control and deliver video through multiple platforms across the enterprise or around the world." "Inlet Technologies is pleased to work with Qumu to give enterprises the ability to easily stream professional quality live events," said Don Bossi, CEO, Inlet Technologies. "Together, Inlet and Qumu can provide flexibility and reliability to companies looking to create compelling real-time content. Inlet Technologies is redefining the online video experience with innovative solutions for media preparation that combine striking video quality with surprising simplicity and reliability, enabling content owners to expand their audience and realize greater value from their content. Industry leaders such as Major League Baseball, Microsoft, NBC Universal/Vancouver Winter Games, Yahoo!, France Télévisions and Home Shopping Network rely on Inlet for easy implementation, technical prowess and enterprise scale for their mission critical operations. For more information, please visit www.inlethd.com. Follow us on Twitter at InletTech. Qumu is the leading provider of video solutions to corporations, not-for-profit organizations, and government entities. Qumu's products allow organizations to easily create, manage, publish and distribute live and on-demand video content while integrating the video with other media. Qumu's solutions are engineered to allow companies to get started at minimal expense while leveraging existing IT standards and infrastructure. Our flexible deployment options include SaaS, enterprise software, appliance or hybrid delivery. Find out why so many Fortune 500 companies partner with Qumu for their enterprise video needs. Contact Qumu in San Bruno, CA at 1-866-654-8333 or www.qumu.com.